Another goal of our trip in California was to visit Carl Sassenrath, creator of Rebol, and spiritual grandfather of Red, as Red is the offspring of the Rebol language. We had a great time with Carl and his wife Cindy, discussing Red and Rebol syntax & semantics, the blockchain industry, smart contracts and the opportunities it presents for our technologies, while enjoying a good Italian restaurant and excellent red wine (selected by Carl, of course!). Carl was particularly interested in understanding more deeply how smart contracts work and how they are currently implemented using the Solidity language. We walked him through the complete source code of the RED token contract, commenting on pretty much every line of code in it and discussing the needs and possible improvements a DSL like Red/C3 could bring over the existing tools. It seems obvious that we could make a huge difference in that domain, given our human-centric approach to software building. Another aspect that got Carl's attention, was the tokenomics we are setting up for our community of users, using the RED token. Carl read the whole whitepaper (he found it well-written), and was excited by how we could make the community grow, delegate more control over the projects to the community using the voting power, and increase the contributions by leveraging the token, as a reward model for useful contributions. We were invited to stay at Carl's place, as the discussions lasted late into the night (many thanks to Carl & Cindy for their kind hospitality). At our morning breakfast, we were delighted to hear that Carl accepted our invitation to join the Red Foundation as an honorary member, which means that Carl will be watching our work both on Red and on the Red/C3 DSL, bringing his unique experience and advice on building languages and dialects. As we are still setting up the Red Foundation operations and teams, we will give more information about our collaboration with Carl in later reports from the Foundation. In addition to that, we asked Carl to kindly free the Rebol/SDK (which is something Carl was already considering, as it is not sold anymore), so that Red users could encap their own toolchain binaries if they want to, without having to purchase it. Carl announced on rebol.com that it will soon be unlocked, and provided for free to all! Next article will cover the current state of the Red Foundation and the related on-going tasks. For those eager to get some fresh news from Red, here are some great news items that we are sure you will appreciate a lot. As there are many different topics to talk about, we are splitting the news over several articles that we will publish over several days. This is the first part. Together with Gregg Irwin, the Red community leader, who joined us from Idaho, we had a memorable time in SF, and the trip was successful beyond our wildest expectations! 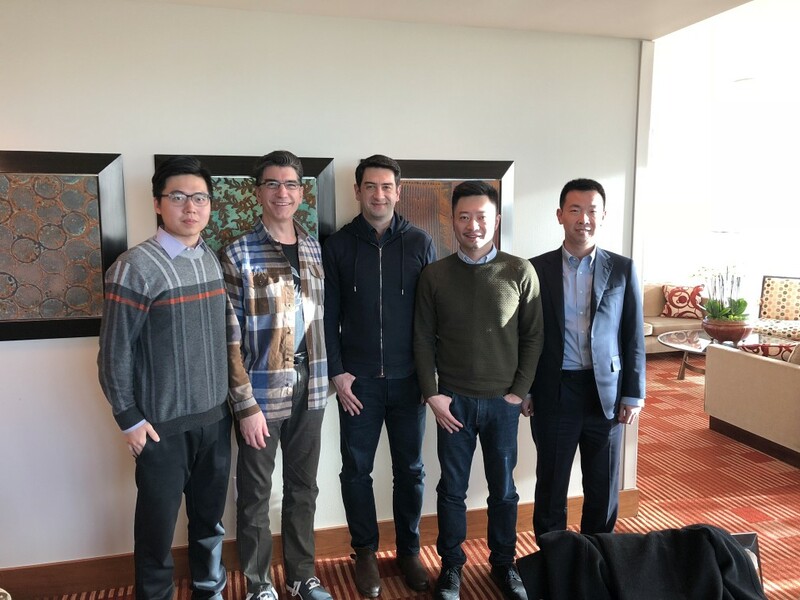 The goal of the trip was to attend the GoBlockchainConnect conference, the first big conference connecting the Asian and North American blockchain industries. 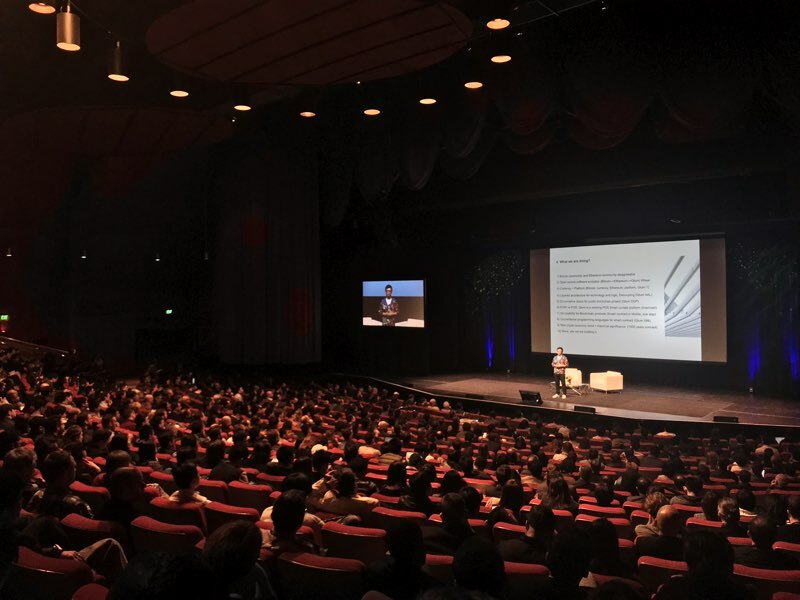 The conference was promoted as bringing together developers, blockchain companies, and investors. 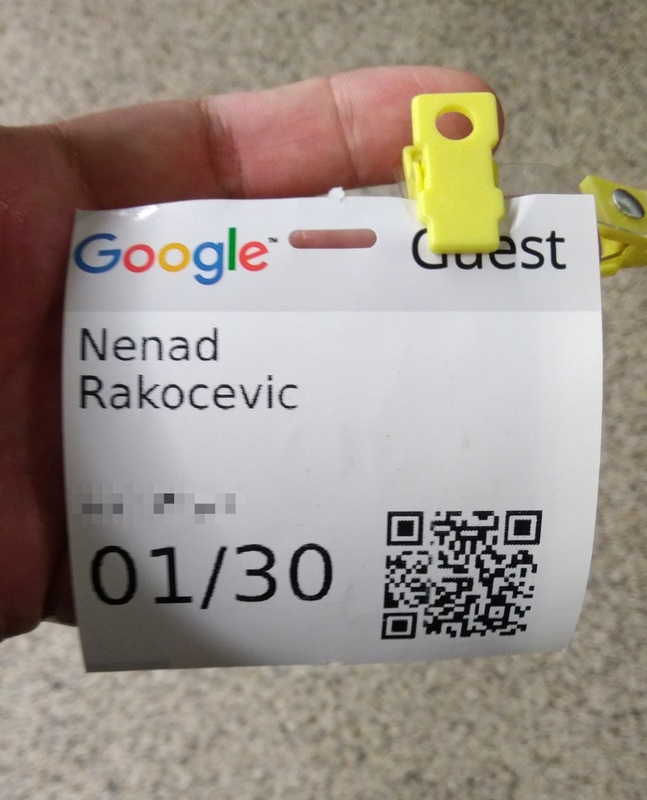 More than 1'000 people attended. One of the best sessions we saw was Riccardo Spagni, lead developer of Monero. He had good things to say, and presented himself well. We learned, very quickly, that there is a wide gap in the blockchain space between those who have real substance in product or knowledge, and those who don't. 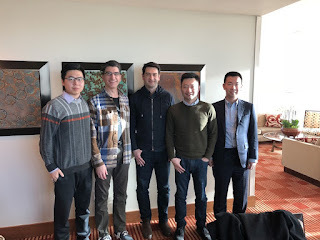 We had a chance to pitch Red/C3 project to Charlie Lee, Litecoin's creator. He found it promising and asked if Litecoin's VM could be supported. As Litecoin is using an instruction set compatible with Bitcoin's Script, he was glad to hear that such support was already on our roadmap. 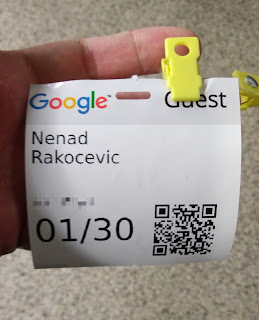 We also booked a meeting with NEO (a Chinese competitor of Ethereum, basically) at the conference. 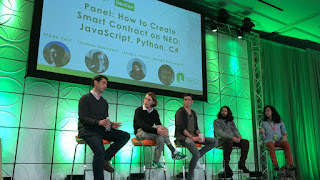 When we met NEO's team, including Da HongFei, founder of NEO, and Johnson Zhao, their Global Development Director, it went so well that they asked us to attend the NEO DevCon in SF two days later, and have Nenad on a panel about smart contract programming. That panel was a resounding success for Red. Where NEO plans to support C#, Python, JS, and more for blockchain programming, it was clear that DSLs are what everyone really wants for smart contracts. 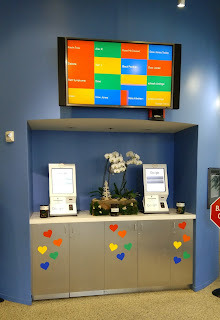 Photos taken at the entrance of Google's offices, taking shots inside is strictly forbidden. 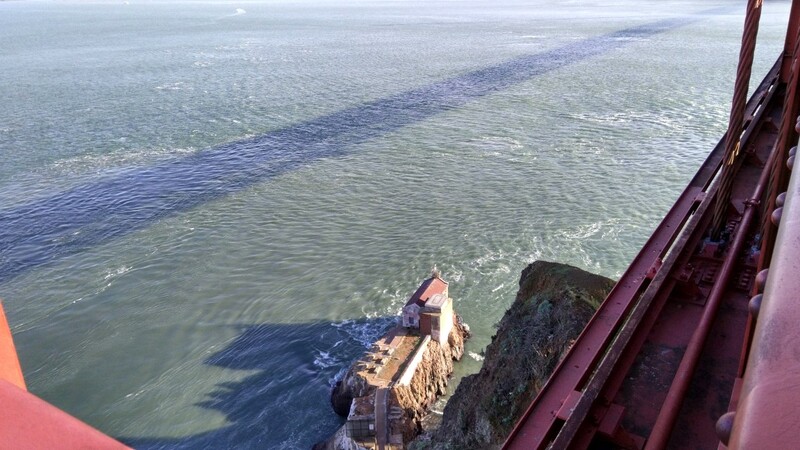 In light of all the new potential in the Silicon Valley, we are planning to open an office in the Bay Area, as soon as possible, and recruit a team there. It was a long week, with long hours, but well worth it in the end. We learned that Red is in a very solid position, and because we're able to move quickly, our chances of success are good. We have a much longer history than other projects out there, though our blockchain strategy is a new aspect. We have real, solid technology that works today, and that's huge. Our community (growing up over 7 years) is also one of our great strengths, and putting things in motion to make use of RED tokens to thank and reward you is near the top of our priority list.